Adam, Venice, and Heather came by this morning for a bit to help me square up some things with the car. I was hoping to start the engine, but missing the ground plug for the submarine piece and a few other bits I was unsure of meant we had to delay. 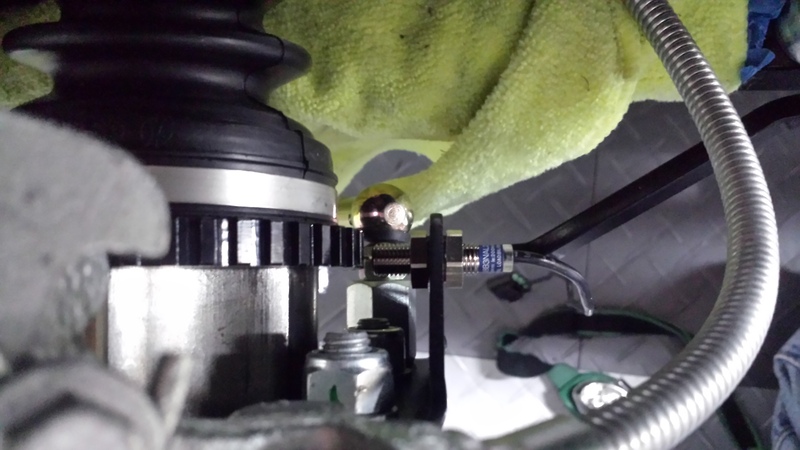 Meanwhile, we set about torquing in the rear suspension and giving it a final once over. Not too many pictures since there’s not much new to report, but the rear was all done properly and we spent a good hour going over everything again. The one fix / change was to the speedo gear (which I knew about before and had on my punch list). Prior we’d attached the bracket but the sensor wasn’t over the cog’d wheel quite right. 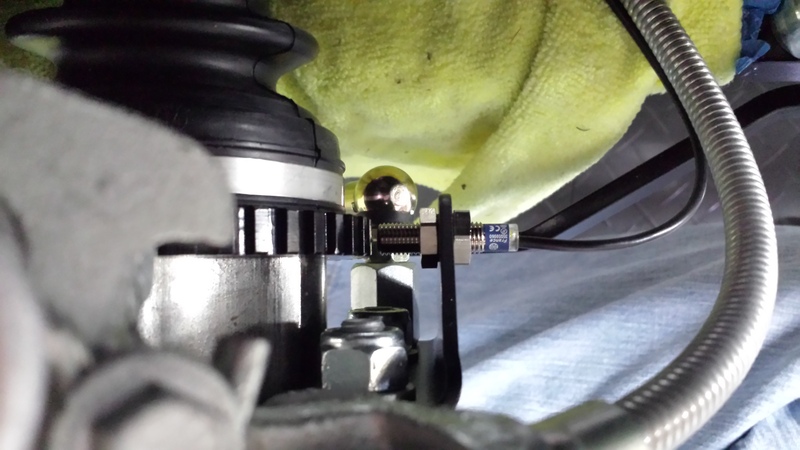 I’d read on another build blog to add a washer between the DeDion ear and the speedo sensor bracket to align it better. We took everything off, a bit of a pain, and then added a washer to the top and bottom bolt. It aligns much better now! 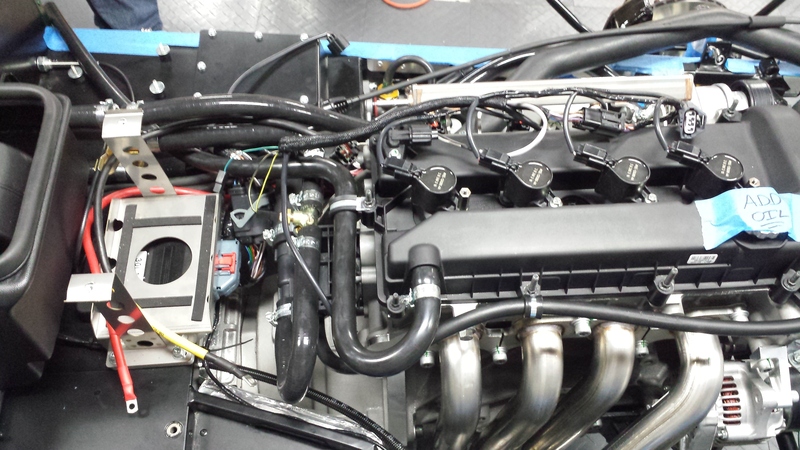 After that, we fiddled with the engine and moved the cam cover breather tube from the breather bottle to the air box. This involved moving taking apart a lot of the cam cover bolts, re-routing a few things, but was all fairly common sense (for someone who’s moved the hoses 10 times so far). Final routing looks like the following pic. Once done we decided to stop there. I was tired from the marathon yesterday and Princess Tiny Pants (Venice) decided it was time for some Burrito La Parilla, cheese dip, and a nap. It was a productive weekend – feels good to tackle a few challenges and overcome them!